We are unable to offer a Next Day Delivery option on Monday 23rd April for delivery 24th April. Normal deliveries will resume on Tuesday 24th Apil 2012. St Philips RC Infant School is hosting a Ladies Pamper Evening on Monday 30th April. There will be a range of therapists including massage, manicures, make-up and iridology. There will also be stalls selling jewellery, lingerie and party items. Come and see Party Sashes Galore at this event and see what special offers we will have on for your personalised sashes, banners and ribbons for your party celebrations. 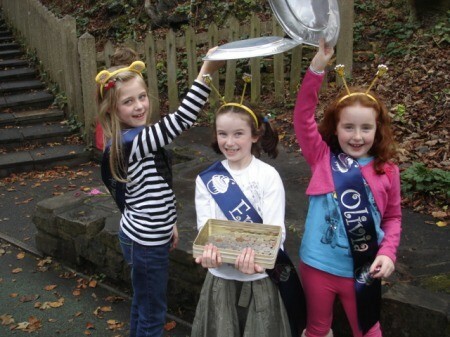 Three very enthusiastic year 3 girls from St Philips RC School raised money for Children in Need. Erin Barton, Olivia Carroll and Emily Jordan designed their personalised sashes to promote the sale and baked hundreds of fabulous cakes to sell at school. The sale was a great success and they raised lots of money for charity.Well done girls you looked great! 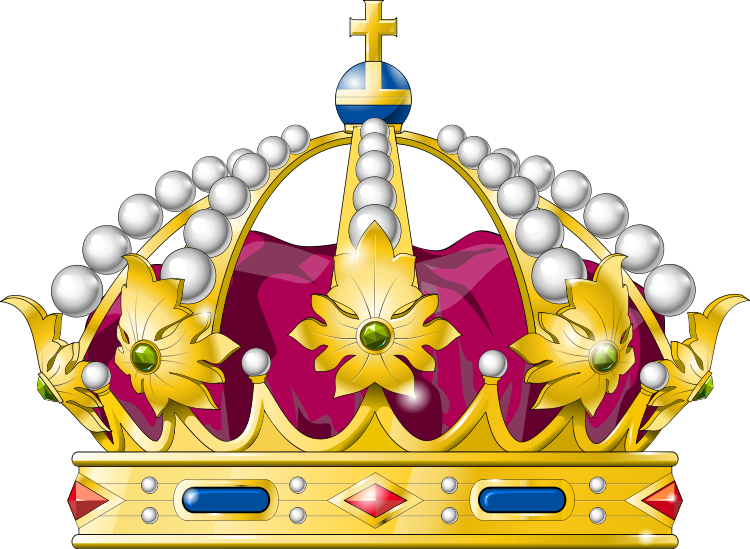 To mark 60 years of The Queen’s reign the Diamond Jubilee will take place in June 2012. Party preparations are underway to celebrate the event. We have been granted an extended bank holiday weekend on 2, 3, 4 and 5 June to mark this momentous occasion. 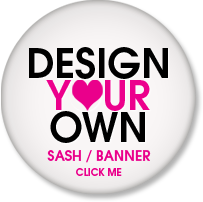 We would love to help you get your personalised party sashes and banners printed. We are delighted to offer you a fantastic 10% discount off your partyware. Enter QUEEN in the coupon section to receive this great discount off your order. We are delighted to offer you a unique 10% discount code for personalised Sashes, Banners & Ribbons for your party celebrations. Simply enter PROMO in the coupon section when you place your order online to receive an instant 10% discount off your entire order. Party Sashes Galore are expects in making personalised Sashes & Banners for your party event & Ribbons to wrap around your special gifts & provide the finishing touch to your wedding favours on the day itself. Do you need to give your girl friends a gentle reminder to get organising your hen party celebration!!! 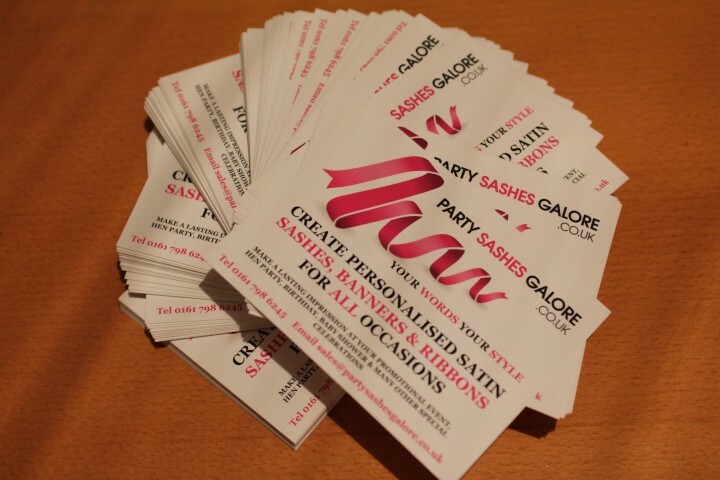 Simply email sales@partysashesgalore.co.uk with your friends email address we will send information directly to them to hopefully raise the idea of perfect personalised sashes for your party to make you stand out from the crowd & make your party a truly memorable one.Don’t delay….get designing today! If you are stuck for time or ideas then simply choose from our pre-printed sashes and we will do the work for you! All of our products are printed on luxury satin finished ribbons ready for you. You will find a selection of ready made sashes in popular colours and wording for your to simply purchase and go to your party! Why not become a designer and create a funky, stylish, quirky, professional or corporate feel to your event. You can customise your ribbons using our personalisation tool and see what your ribbon will look like before buying. Change ribbon colours, text and images until you are happy with your design. Make your personalised announcement in style! Personalised sashes from £3.75 Banners from £2.75 Ribbons from £1.20 a metre FREE Delivery on orders over £25.00 Take a look at www.partysashesgalore.co.uk and enter the promotional code PROMO to receive a 10% discount off your order.